First, every socialist country has risen on false promises. These promises include untold prosperity, equality for all, and security for its citizens – said security, of course, is provided by gun-toting soldiers of the regime. The promises sound good. 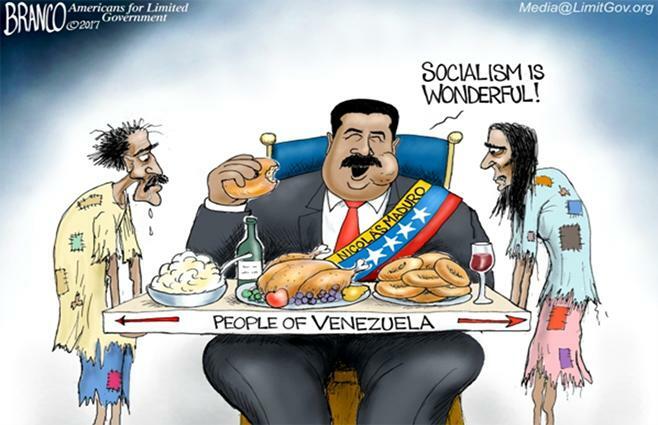 Still, every country that has fallen for socialism’s rosy picture has been driven into abject poverty, starvation, despair, and a two-caste social system with a few masters on top and everyone down at heel at the bottom. Like any Ponzi scheme, socialism must collapse under its own weight. Any initial signs of success under socialism seduce and enthrall, like an enchanting mistress. These successes, however, are quickly eradicated by economic and philosophic reality. Mistresses rarely live up to their initial allure. The record of socialist’s failure is 100 percent and remains unbroken. The result is 100 predictable – poverty, hunger, and a tyrannical government that rules by force instead of rule of law. 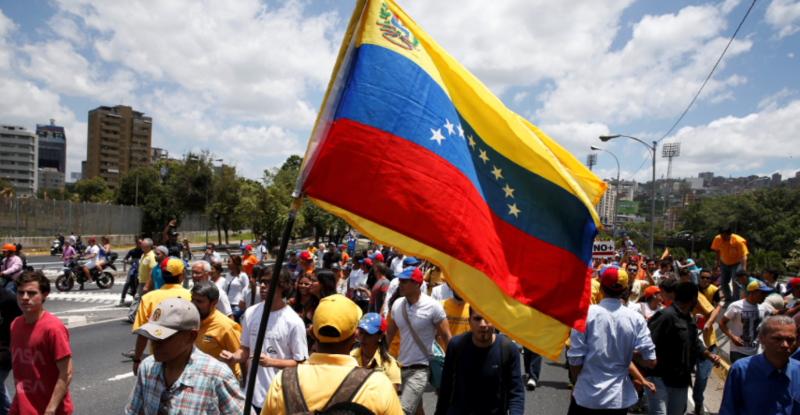 Despite the current love affair U.S. millennials have with Venezuela, the country is following in the wake of all other failed socialist dictatorships. At one time, Venezuela was an oil-rich, prosperous and thriving country. 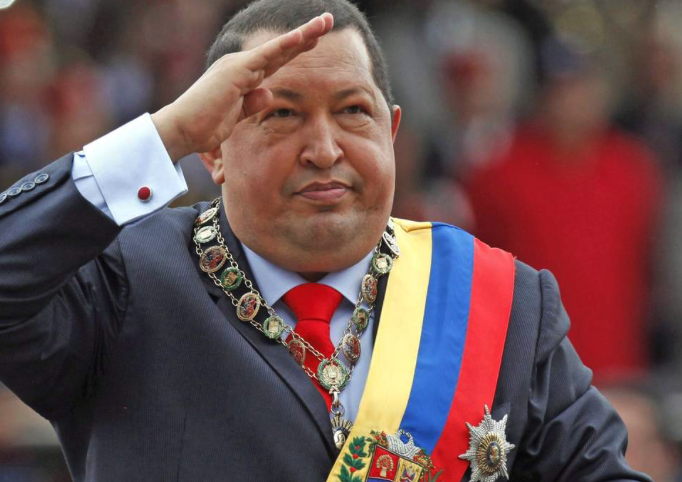 Former President Hugo Chavez nationalized many industries, including the oil industry. There were small, initials sign of success when Chavez distributed some of the nationalized – or stolen – property among the happy citizenry. But stolen property can support a nation for only so long. Venezuela’s oil industry collapsed and is currently drawing its last breath. As is Venezuela itself. Inefficiency and fraud are only part of the reasons no socialist country can survive. The principles of socialism themselves work toward its destruction. There are no incentives under socialism. Under capitalism, incentives are the driving force. Offer a service or product at the best price, and you will prosper. Market forces rule. Under socialism, government imperative rules, so profit and loss and pricing take a back seat. In Venezuela, two week’s wages may buy you a bit of bread, if you are fortunate enough to find any. Other countries that are still attempting to “perfect” socialism include Cuba, Cambodia, China, and North Korea. Only China’s current efforts at some free enterprise is allowing it to grow economically. Cuba, Cambodia, and North Korea are struggling to survive, with its citizens living under the complete control of its masters. In the U.S., Bernie Sanders and his somewhat more attractive, newly-elected partisans are preaching a “perfect” version of socialism while living in luxurious homes and enjoying all of the offerings of capitalism. They are calling for 70 percent taxation on the evil rich. U.S. socialism advocates point a finger of praise at countries such as Sweden and Denmark as “real socialism” while ignoring the misery in Venezuela, Cuba, North Korea, and others. They also ignore the fact Sweden and Denmark are very business and entrepreneur-friendly. They merely have a huge social safety net. Marx would not approve of them. The problem is, money, consumer products, and services are finite. As former Prime Minister Thatcher famously stated, “Sooner or later, you run out of other people’s money.” That sums up the inherent flaw with the socialist theory. What happens when you run out of stolen goods? That is a question Sanders and his acolytes have yet to answer. We live in an imperfect world. Capitalism does not guarantee riches. It only promises the opportunity to pursue a better life. Wealth is created through hard work and incentives. By its nature, some people will pursue success more ardently than others, thus creating income inequality. But individuals still have a choice. Under socialism, any pretense of choice is removed. Misery and poverty will be distributed equally. Wealth is destroyed instead of created. Imperfect though it may be, capitalism is the only economic system to offer the incentives to pursue success through market forces. By contrast, socialism everywhere has destroyed its wealth and financial markets.